While writing music for others is fine and dandy, for most songwriters, it’s just not the same as when you get to perform your own material, as well. And this appears to be the case for Matt Montgomery and Gregory Howe, who have co-formed a new outfit, Neomythics, after penning tunes for other artists signed to Howe’s label, Wide Hive Records. 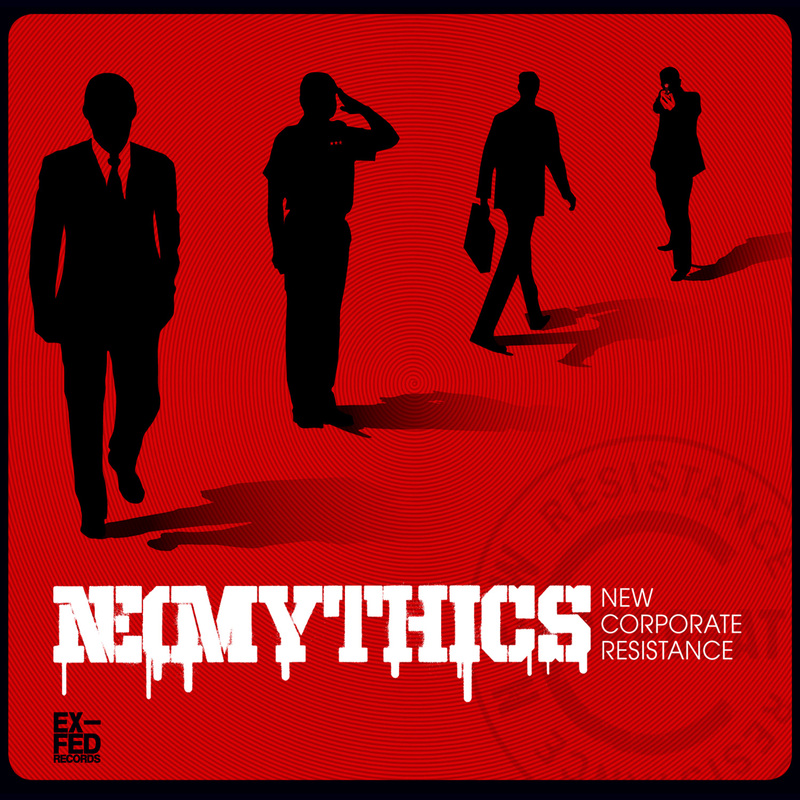 Interestingly, the style that Neomythics specialize in is not reflective of the style that the Wide Hive label usually specializes in (which is supposedly jazz and funk). Instead vintage post-punk is brought to mind throughout their twelve-track debut full-length, New Corporate Resistance, released via Ex-Fed Records. This entry was posted in CDs, New Corporate Resistance, Reviews on January 5, 2014 by lisa.